Baconery in New York City sent me a jar of their Bacon Salt! Time for a review! Flexible Mr Bacon is All Mine!! 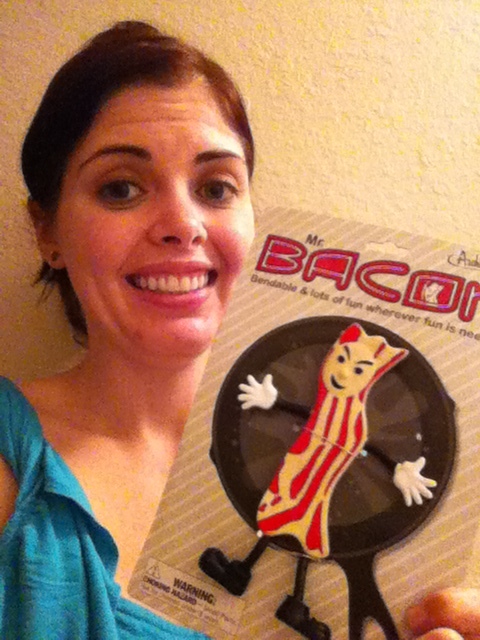 Aunt Benna sent us Mr. Bacon in celebration of International Bacon Day coming up!!! !